It’s been more than two years since President Barack Obama signed legislation authorizing the limited cultivation of hemp, but the fledgling industry remains a long way from becoming a thriving business. Observers say commercialization of this potentially lucrative plant remains limited for legal, financial and technological reasons. They point to restrictive federal guidelines governing hemp, a dearth of investors willing to wager money on the plant, and a lack of commercial-scale processing equipment. Finding fixes to these challenges has proven difficult. Hemp is used for various products, including CBD-based medicines as well as paper, clothing, food, lotions and supplements. It’s also used in industrial applications. Much of the hemp used currently in the U.S., however, is imported. Despite the glacial pace of hemp commercialization, advocates are bullish on the long-term prospects. They argue the 2014 Farm Bill – which authorized production for research purposes and a few select pilot programs – eventually will create opportunities for entrepreneurs. While hemp cultivation was federally prohibited before the 2014 Farm Bill, hemp processing and products weren’t. That’s why hemp food oils and textiles have been available for years. The United States continues to import most of its hemp. Much of the hemp fiber comes from China and hemp food products from Canada, according to a 2015 Congressional Research Service report. The report valued hemp imports at about $40 million. The Hemp Industries Association, along with the Hemp Business Journal, estimates the retail value of hemp products sold here in 2015 was “at least” $573 million. That includes hemp food, supplements and body care products as well as clothing and building materials, among other products. Before the Farm Bill, 10 states had very limited hemp cultivation. Since the Farm Bill another 19 states have passed laws allowing hemp cultivation. But of the 29 states that have legalized hemp cultivation, only 12 have regulations that make commercialization possible, including seven states that adopted regulations recently and have just started or are starting commercial hemp growing. The five states that did have commercially produced hemp last year accounted for about 5,000 acres between them, Steenstra estimated. The top two states by acreage are Kentucky and Colorado, he added. In states without regulations, cultivation is done for scientific and medical research, as well as marketing- and economic-related research, such as studying how hemp growers can best sell their products or which varieties are well-suited for commercial applications. While advocates tout hemp as a miracle plant, the few farmers growing hemp don’t have the equipment necessary to process hemp on an industrial scale for, say, paper or textile manufacturers. Instead, hemp farmers must sell their product into a limited marketplace that, for now, is largely composed of CBD medicine makers and food processors. “CBD is a huge market now. Food as well, like seed oil,” Courtney Moran, a hemp lobbyist and attorney at Earth Law LLC in Portland, Oregon, said. Perhaps the biggest impediment to the hemp industry tapping the paper and textiles industries is a lack of processing equipment, particularly decorticators which strip the softer outer bark from the woodier core of the plant known as hurd. “We need harvesting and processing equipment to get us to that point,” Moran said. The equipment is almost impossible to find in this country, because there hasn’t been a legal hemp industry that would necessitate decorticators. One of the few, and perhaps only, U.S. companies to have processing equipment is American Hemp in Winston Salem, North Carolina. A “commercial hemp processing line is a substantial investment of millions of dollars,” Steenstra said. The fiber separation technology that now exists is dated Steenstra added, but people here are trying to modernize such equipment. “It’s a market opportunity for people to develop that kind of technology so we don’t have to keep importing everything,” Steenstra said. But even those efforts have been slowed by the lack of capital behind the industry. One of the biggest challenges is educating lawmakers and the public that hemp and marijuana are different plants. Hemp advocates claim the current Drug Enforcement Administration marijuana definition incorrectly ensnares hemp. The DEA defines marijuana as any cannabis sativa plant that contains THC. That includes hemp because it belongs to the cannabis sativa family and contains very small amounts of THC – well below levels that produce intoxication if consumed. “The largest challenge is that hemp has been lumped in with marijuana over the last 70 years, and all of the constraints that come with that,” Paiss of the National Hemp Association said. The DEA threshold is unnecessarily low and dated, some hemp advocates argue. In June, dozens of industry advocates asked the DEA to redefine marijuana to exclude hemp. They also want the agency to raise the THC threshold in hemp to 1%, West Virginia’s standard. Almost every state, by contrast, defines hemp as having less than 0.3% THC content. But others don’t consider these changes urgent. Moreover, states have made changes. This year, for example, Virginia legalized industrial hemp cultivation and Oregon made it easier for farmers to get growing licenses. “I think a lot of states are starting to recognize the economic opportunity that’s available to them,” Moran said. Industrial hemp was the main reason cannabis prohibition was implemented in the first place. Hemp’s competition against entrenched industries such as oil, cotton, and wood and their lobbying powers will continue to make this an uphill trek. Hundreds of billions of dollars are at stake for the winners of this competition and the powers that be will not acquiesce easily. Finally though, we are headed in the right direction. The California Hemp Alliance wishes to correct the record regarding certain comments made by Eric Steenstra, Executive Director of the Hemp Industries Association, concerning industrial hemp in California. In fact, the state IHFA is quite clear in only allowing hemp cultivation in the state when it does not present a conflict with federal law. The 2014 Farm Bill permitted states with hemp legislation, under the purview of their respective Departments of Agriculture, to establish pilot research projects to study industrial hemp. Atty. Gen. Harris gave a lucid and thorough opinion which makes quite clear – in a section entitled “What May Be Grown?” – that in fact universities may engage in industrial hemp research. Her opinion was in accordance with both state and federal law, and California Hemp Alliance is grateful for her guidance on the matter. In truth, any fault in delay of implementation lies squarely at the feet of the California Department of Food and Agriculture (CDFA). This department has not only failed to help facilitate any potential research projects; they have yet to even begin assembling the mandated Industrial Hemp Advisory Board, a group of experts who could help guide pilot programs through the regulatory and funding process. Industrial hemp, which is defined by most industrial nations as Cannabis sativa L. containing less than 0.3% THC, lacks key supporters in the State of California. The passage of the 2014 U.S. Farm Bill, particularly Section 7606: Legitimacy of Industrial Hemp Research, allows for industrial hemp pilot programs to begin in states that had previously enacted legislation in support of industrial hemp farming. In 2013, Governor Brown signed SB 566, the Industrial Hemp Farming Act into law in the State of California. Thus, California can legitimately conduct research with institutions of higher education and the CDFA. However, not one industrial hemp pilot program has sown seed. This letter outlines the impediments to industrial hemp pilot programs in the State of California in order to gain your support to overcome such hurdles and begin research. California universities are required to have an approved DEA 225 Form to import certified hemp seed to begin research, because industrial hemp is still defined as marijuana, a Schedule 1 substance under the Controlled Substance Act of 1970. California Polytechnic State University, Pomona is the first CA institution of higher education to apply for the DEA 225 Form. Their application was submitted in October 2015. In November 2015, Agent John Partridge requested the University to change its status from “importer” to “researcher.” Cal Poly Pomona promptly complied. The Drug Enforcement Administration has not yet inspected the research grounds or storage facilities in order to grant the 225 permit. Seed cannot be imported until the permit is granted. Similar delays have been witnessed in Kentucky, Indiana and Hawaii. This directly affects the planting dates and research proposals. 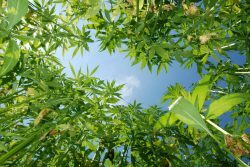 Federal law has authorized the California Industrial Hemp Act to the extent that it permits institutions of higher education and the CDFA to grow and cultivate industrial hemp, for the purposes of agricultural or academic research, in compliance with the federal definition of industrial hemp. These same entities may also conduct agricultural pilot programs to study the growth, cultivation, or marketing of industrial hemp, provided that such programs are conducted in a manner that (1) ensures that only institutions of higher education and the CDFA are used to grow or cultivate industrial hemp? (2) requires that sites used for growing or cultivating industrial hemp in California be certified by, and registered with, the CDFA? and (3) authorizes the CDFA to promulgate regulations to carry out the pilot program in accordance with the purposes of section 7606 of the federal Agricultural Act of 2014. Federal law authorized, and rendered operative, the relevant portions of the California Industrial Hemp Farming Act on February 7, 2014. Federal law imposes limitations that are inconsistent with the provisions of the California Industrial Hemp Farming Act in that: (1) it continues to prohibit the cultivation of industrial hemp for purposes other than agricultural or academic research? (2) it restricts those persons or entities who may cultivate industrial hemp for agricultural or academic research to the CDFA or an institution of higher education? (3) it prevents even these authorized entities from instituting an agricultural pilot program to study the growth, cultivation, or marketing of industrial hemp, unless the program is conducted in compliance with additional federal requirements set forth in section 7606(b)(1)(B) of the federal Agricultural Act of 2014? and (4) it prohibits, even for research purposes, the cultivation or possession of the parts of the plant Cannabis sativa L. that exceed a 0.3% concentration of tetrahydrocannabinol (THC). In general, provisions of the California Industrial Hemp Farming Act are inoperative to the extent that they apply or pertain to any form of industrial hemp cultivation not authorized by federal law. Per section 1.2, the CDFA is authorized to certify and register the site at Cal Poly Pomona for growing and cultivating industrial hemp. Also, per section 1.3, the CDFA is authorized to promulgate regulations to carry out the pilot programs in accordance with section 7606. We find that the CDFA has failed to certify or register the site at Cal Poly Pomona for growing and cultivating industrial hemp, to promulgate regulations to carry out the pilot programs, or to issue memorandums of understanding (MOUs) regarding industrial hemp in California. Due to the recent enactment of the 2016 Omnibus Appropriations Act, we request an updated opinion from the Attorney General’s office, especially in regard to section 3. For example, in section 3.1, the AG’s opinion prohibits the cultivation of industrial hemp for purposes other than agricultural or academic research, but section 7606 also allows for market research, which depends upon the establishment of a market. In section 3.2, persons are restricted to institutions of higher education or the state department of agriculture, but in Kentucky, MOUs have been issued to allow commercial farmers to grow in conjunction with the state department of agriculture. Section 3.3 does not take into account the impact of the Omnibus language that includes the “transportation, processing, sale, or use of industrial hemp that is grown or cultivated in accordance with subsection section 7606.” The 2016 Omnibus expires September 30th, thus timely action is required. Other U.S. states have had successful pilot programs due to the assistance of their state departments of agriculture – Kentucky, Tennessee, Indiana, Colorado, Hawaii, Vermont, and Oregon among others. Ecofibre, an industrial hemp seed breeder, has agreed to supply certified seed to Cal Poly Pomona from their Kentucky industrial hemp pilot project under a MOU. This M.O.U. from the Kentucky Department of Agriculture would require confirmation from the CDFA. However, it does not preclude the formation of the Industrial Hemp Advisory Board to involve itself in the oversight or governance of any activities that are authorized under section 7606. The CDFA has repeatedly refused to form this board despite the several issues above that indicate the necessity of its formation, an action which may mitigate such problems in itself. We have also been encouraged by the CDFA to form this board “ad-hoc”, but an ad-hoc Board has no authority to assist in the alleviation of problems that impede conducting industrial hemp pilot programs. We request the CDFA fulfill its obligations under Sec. 81006(g) of the CA Industrial Hemp Farming Act, which states, “[i]f … it is determined that the provisions of this section are not sufficient to comply with federal law, the department, in consultation with the [Industrial Hemp Advisory] board, shall establish procedures for this section that meet the requirements of federal law,” including certification and registration institutions of higher education for industrial hemp pilot programs, implementation of regulations to conduct the pilot programs, and formation of the Industrial Hemp Advisory Board as laid out in Section 81001 of the act. Preliminary research costs at Cal Poly Pomona are a minimum of $15,000. The overall budget for a graduate student to run a successful project is $80,000 per year. The approval of Cal Poly Pomona’s DEA 225 permit for the industrial hemp pilot project is necessary to apply for grant funding to cover these costs. To highlight the challenge to funding, we have attached a copy of a letter signed by fourteen U.S. Senators and 36 U.S. Congressman to the USDA for clarification on federal grant funding for industrial hemp research addressed November 2015. U.S. Representatives from California who signed the letter include Dana Rohrbacher, Tom McClintock, Barbara Lee, Sam Farr, Ted Lieu, and Eric Swalwell. Not only does the project require grant funding, but also the project will need matching funds from corporate or philanthropic partners. To date, such organizations have been hesitant to commit funding without the approved DEA seed importation form. In sum, the California Hemp Alliance respectfully requests your support on the certification and registration of institutions of higher education, the implementation of regulations, and the formation of the Industrial Hemp Advisory Board so that California can begin industrial hemp pilot programs. We urge you to contact us for clarification on these issues and more information about how you can help. We look forward to moving forward with your support. One of the guys who pushed hard to make hemp illegal in the first place, was William Randolph Hearst — who owned lots of forestry, to make paper for his newspapers. Importing hemp from China is an absolute outrage. We are now an economic vassal of Red China, and if America is to EVER recover, that must STOP. Exactly. It has nothing to do with THC and everything to do with competition against cotton, etc. Some states are accumulating data from research being conducted in university pilot projects, basically playing catch up with the rest of the world in understanding (and documenting) the environmental advantages, end use superiority, and economic potential of hemp cultivation. Since we haven’t grown hemp for 70 years, and won’t recognize foreign data, we need current U.S. studies to be completed, which will also take time. The single, most effective action we can take in support of hemp is to let our collective dollar be heard at the cash register. Purposeful change only takes place in a capitalistic democracy through purchasing. Period. If you support hemp, buy hemp. Cha-ching is the only sound corporate america can hear. If we create demand, it will be met. How absurd is it the Federal Government subsidizes the cotton industry to the tune of 16 billion annually. The filthiest, most environmentally damaging crop in existence is subsidized so we can import cotton to China and in turn, buy the disposal apparel they ship back to us. I wonder how many decorticators $16B could buy! Eric is also flat-out wrong… see above comment. Alex, you are very aware and there is a lot of misleading information being put out there. Funny that those of us who have actually made progress are shunned. It’s what it is, but just makes us go silent about the actual progress which is happening. Overall, this is an awesome update, Mr. Sacirbey. Thank you. But I must take issue with your erroneous assertion toward the end: “One of the biggest challenges is educating lawmakers and the public that hemp and marijuana are different plants.” Hemp and “marihuana” are derived from the SAME plants, as you yourself point out, Cannabis sativa. Cannabis, being a dioecious plant species in botanical terms, produces male flowers for pollination and female flowers to bear seeds (the vast majority of plant species are monoecious—they produce their own seeds without pollination). When farmers grow cannabis plants in their fields both flower types flourish and we call that “hemp.” In the course of a full growing season, female flowers in hemp fields get loaded with seeds and thereby lose their tetrahydrocannibinol (THC) content. Plants with female flowers that are purposely separated from hemp fields to be seedless (the old Spanish word for this process is “sinsemilla”) yield the end product that arrogant federal bureaucrats and politicians have demonized for 80 years as “marihuana.” The excellent first comment here by Chris Dalton captures the essence of our continuing legal problems related to all cannabis plant types—and the immeasurable economic opportunities being smothered by our fraudulent federal and state “marihuana” laws. They basically have always served as a smokescreen to divide and conquer public opinion on the matter (it’s worked very well for much too long). Intense lobbying and campaign donations by giant synthetic pharmaceutical companies like Pfizer (whose profits are seriously threatened by the re-emergence of medical cannabis) and chemical companies like DuPont and Monsanto (major opponents of industrial hemp) also play a major role in this anti-“marihuana” tyranny. I dream of the day when a bold media outlet crunches those numbers and breaks that story for the public to behold. To oppose legal cannabis is treason!